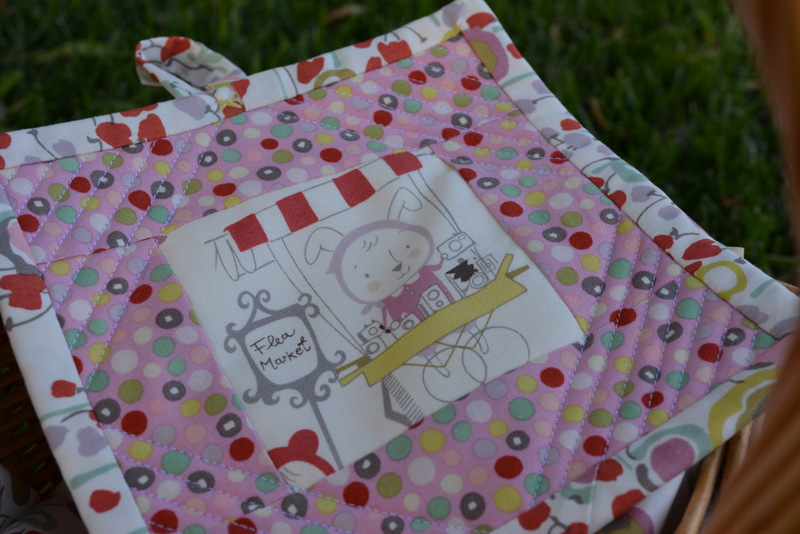 I entered the Crafty Cooks Apron and Recipe Swap over on Flickr. 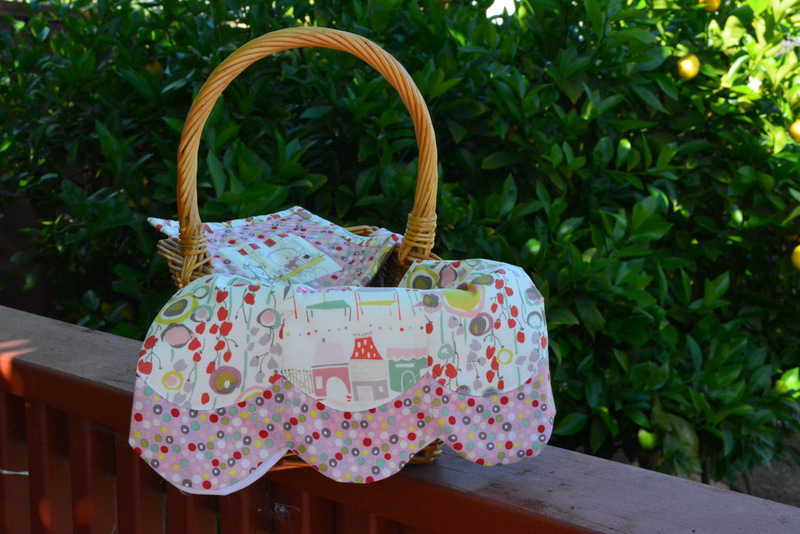 It is such a lovely swap organized by Fiona from Celtic Thistle Stitches and Sam from Cup of Tea and a Slice of Cake. I have been crazy busy and I finished it the apron just in time for mailing deadline. I hope my partner likes it. She requested something in pinks and greens. 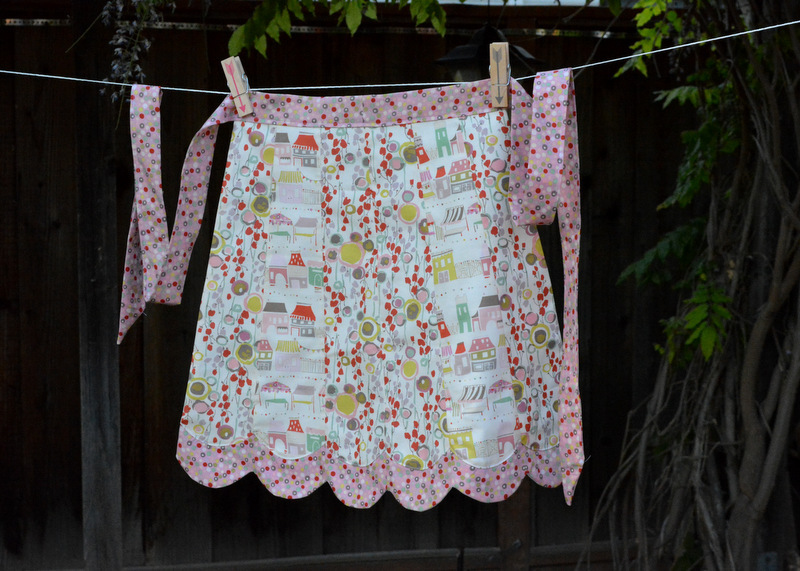 The pattern I used for the apron was from the book Sew, So Cute. I found the book at my local Joan's on clearance right at the time I was trying to figure out how to make the apron for my partner. Don't you love when things just work out? 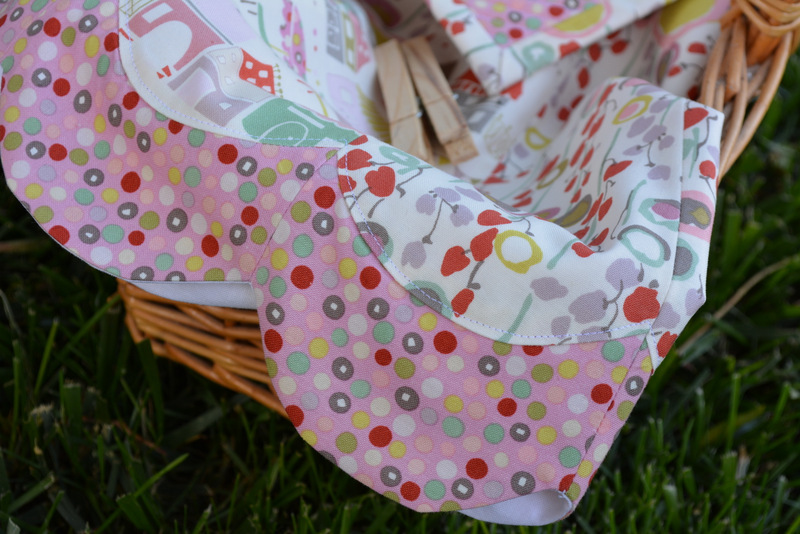 The pattern for this apron presented a great challenge for me; I had never pieced curves before. Honestly, I didn't think I could do it. But after reading the instructions a few times, I did it! (and it turns out curves are not so scary anymore). I really like the way the apron turned out. To go with the apron I also made a potholder as a little extra for my partner. They are now on their way to their new home. I really hope she likes it.